One of the advantages of working in Oxford is the opportunities I have to get superb vantage points for photographing events. 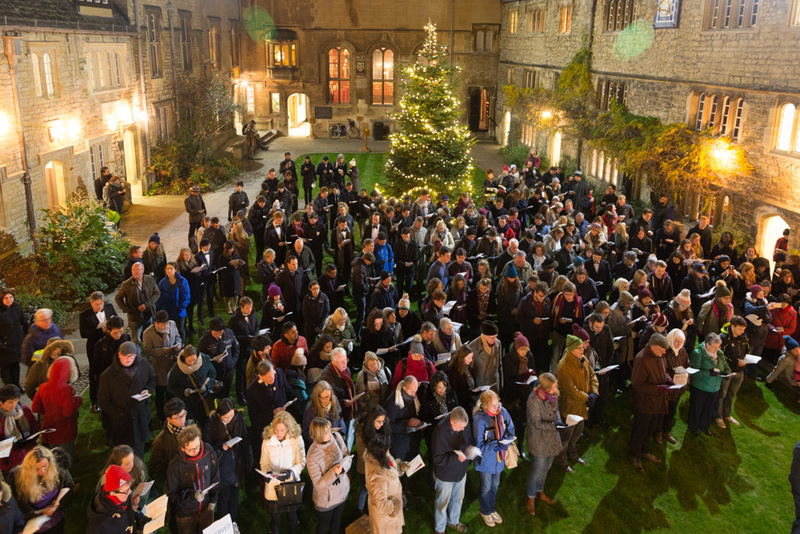 In December I was lucky enough to photograph the carol service in the quad at St Edmund Hall in Oxford. This is an annual event but this year I was granted access to locations that made my pictures magical. 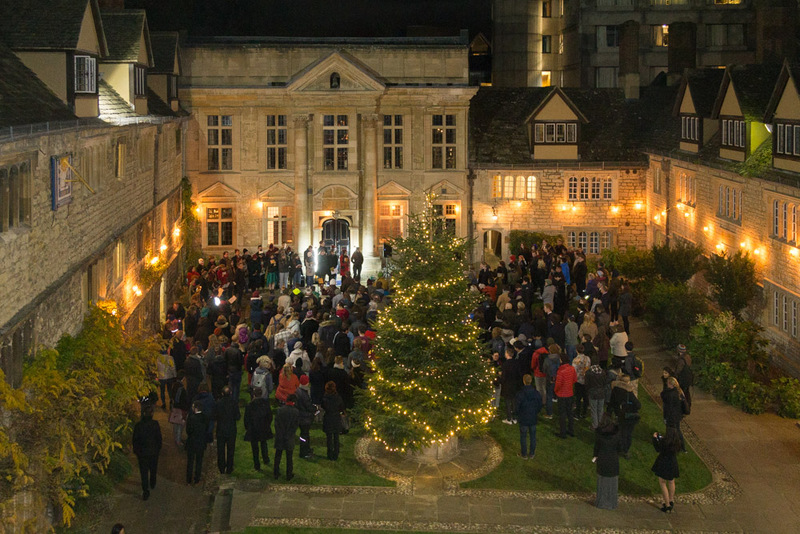 I made my way above the chapel to get shots of the singers and tree then I went high up on the other side of the quad to photograph the tree in the foreground with the congregation and the chapel.